We audit your website using our crawl tools to identify deficiencies that result in your website’s performance in keyword searches. We will look to see that your website is accessible to search engines. We are looking to find if there is anything prevent the engines from being able to crawl the pages of your website. If search engines are reaching your site with no problems we check to see if they are indexing your pages. What keywords are used when people are searching for your business? Does your website show in the results when people do search? We will work with you to determine what are the ideal keywords and phrases that pertain to your business. Once we identify those keywords or phrases will be able to determine what changes can be made so that your website not only shows in the results but competitive for the first couple search results. We check that your website shows up in the results for local search listings. If your business is a business that serves the local community then how well you show up in local search results should be very important. We help to get you included in local listings like Google+ Business and Bing Local. We can optimize the content to ensure that your website matches what users are actually searching for in search engines. Content is what drives people to your site and is also one of the biggest factors that drive traffic to your site from search engine results. Search drives 10x more traffic to shopping sites then social media. 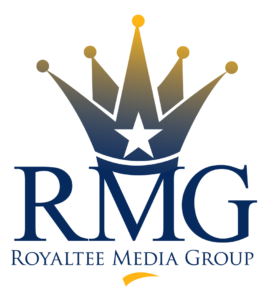 SEO can be confusing but we here at Royaltee Media Group are here to help you navigate the in’s and out’s of SEO and get your website competing for that #1 search in result spot. 1. Text attracts more attention than pictures. 2. People start viewing your website from the top left corner. 4. Fancy fonts are ignored. 5. People only scan the lower parts of your website.